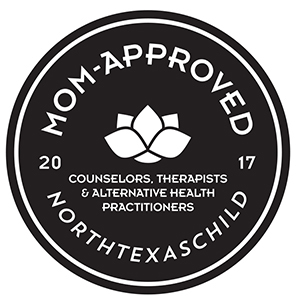 About Us | Highland Village, TX | Trinity Wellness Center, P.C. About Trinity Wellness Center, P.C. Delivering quality chiropractic care to the Highland Village area since 1996. Here at Trinity Wellness Center, we teach patients of all ages how to live pain-free, healthy, joyful lives through the use of proper nutrition, detoxification, good ergonomics, environmental awareness, correct posture, stretching/ strengthening exercises, and regular chiropractic care. We treat everyone, with or without pain or illness. Chiropractor in Highland Village, Michelle D Martz, DC and her staff are dedicated to relieving patients of dysfunction, determining the source of the problem and teaching patients how to increase longevity and quality of life. We treat everyone, with or without pain or illness. Our patients receive the benefits of the newest techniques, as well as our dedication to their total wellness by promoting natural healing of the mind, body and spirit. It is our goal to support as many people as possible in their quest for health and educate them about chiropractic and wellness lifestyles so they may, in turn educate others. Just as you regularly visit the dentist and medical doctor for routine check-ups, you should visit your chiropractic doctor to help identify problems before they become serious or painful. Our patients are active participants in obtaining and maintaining their own good health. True health is a journey, not a destination. We believe that health is amongst our most valuable possessions, so as a Highland Village TX Chiropractor we are committed to teaching our patients that true health is a journey, not a destination. Through educational opportunities (like this website), we hope to communicate the value of ongoing chiropractic care. 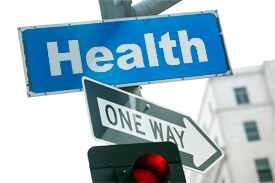 Our desire is to see our practice members abandon the prevailing sickness care model of health (waiting for symptoms and then taking action), in favor of the emerging wellness model. The patients who get the best results are those who listen to their x-ray findings and follow the protocol we set up for them. It is very important to follow through with the chiropractic adjustments, as well as any therapy that is prescribed for your care. If necessary, we will refer you to specialty health care providers to help us with your condition. In most cases, this care is adjunctive with your chiropractic treatment plan, not in place of it. Whenever possible, we will refer you to a specific health care provider that understands the value of naturopathic medicine, and will work together with us on your specific health concerns. There are times that medical treatment is necessary to resolve your condition, and we hope that our patients trust the necessity when we direct you outside of this office. Regardless of your health goals, please understand that our job is to offer you the finest chiropractic care possible, and it’s up to you to decide how much of it you want. Sound interesting? Please contact our Highland Village chiropractic office to make an appointment. Information on this web site is not intended to replace any medical treatment prescribed by your physician. Information is intended to be used concurrent and adjunctively to treatment. For those with chronic medical problems or taking a regularly prescribed medication, please consult your physician.